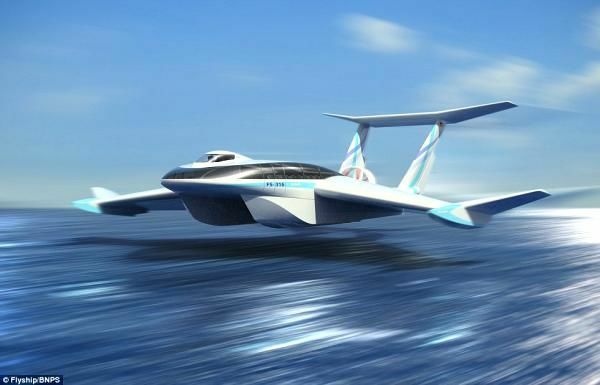 A new hybrid of boat and plane called “The FlyShip” is an £26m ($37m) vehicle that can carry 100 passengers at a top speed of 155mph(250km/h). The flyship hovers by creating a cushion of air under its wings. It can be used for various missions like cargo, commercial, military and anti-piracy transport. Designed by German engineering team will surely revolutionize the way people travel. 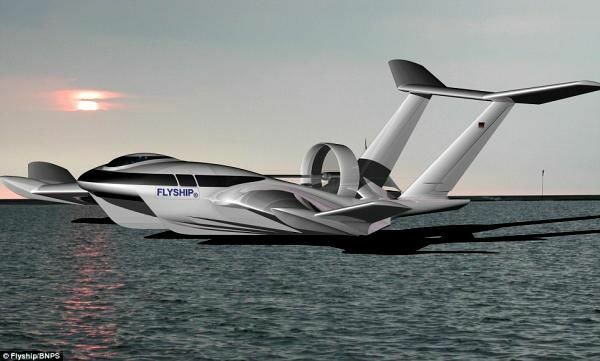 The flyship has a cabin space area of 1500 sq.ft, 121ft (37 metres) long and has a wingspan of 131ft (40 metres). On a hovercraft, it is supported by a huge fan in the middle. When compared to other flying planes, it is cheaper and the fuel consumption is also low with 270 litres every hour when compared to 3300 litres every hour in other let liners.